A new fund to support collaborative research has been agreed between Edinburgh University and University College Dublin (UCD). Worth up to 100,000 Euros in the first year, it forms part of a memorandum of agreement (MoA) between the two institutions. The partnership commits match funding from each university over the next three years, and will support students and staff to share knowledge and expertise. Geosciences, migration studies and ‘one health’ will form the initial areas for collaboration, but these could be expanded to include others. 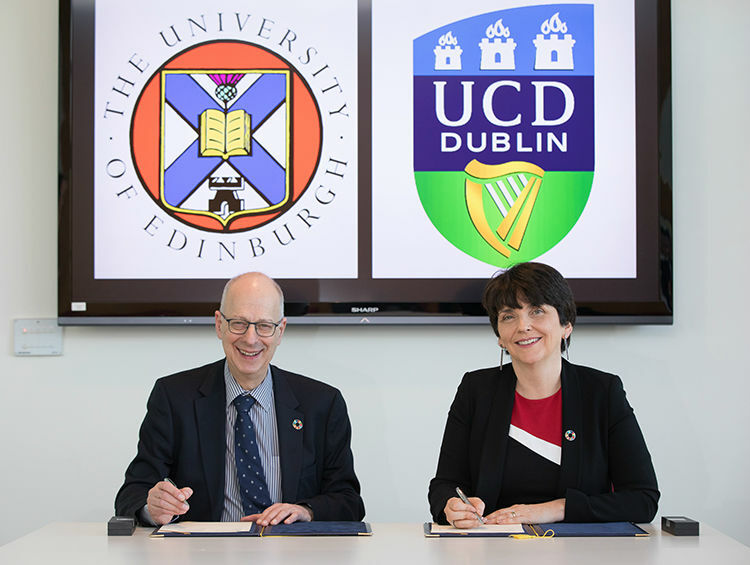 The MoA will build on Edinburgh’s close relationship with UCD, which includes a long history of Erasmus+ exchanges and research collaborations.